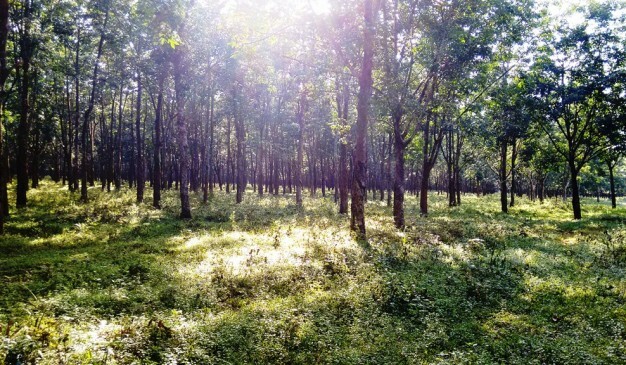 Rubber Forest is not just a forest to look over, it’s a popular place now a days for tracking, wondering, picnic center and so on. 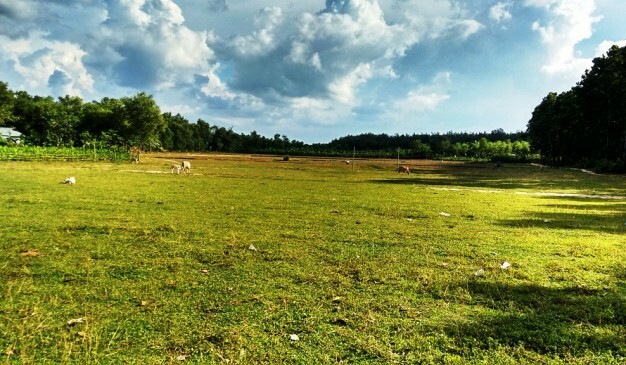 While exploring Mymensingh, there are some extra-ordinary places to pay a visit. 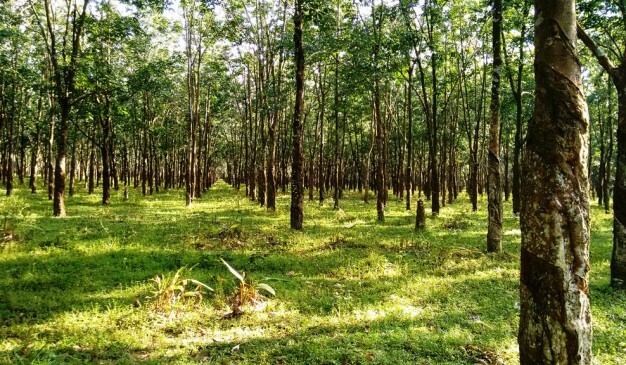 Rubber forest/garden of Santoshpur in fulbaria Upazila is one of those. 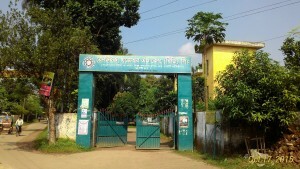 Fulbaria rubber forest and processing industries is one of the renowned places in this district. ORB Team recently visited that place while exploring the heritage of Mymensingh. 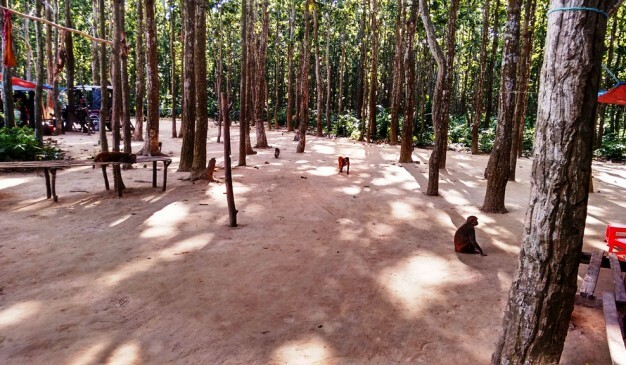 It belongs to an area of 106 acres which make this place look like a massive forest. 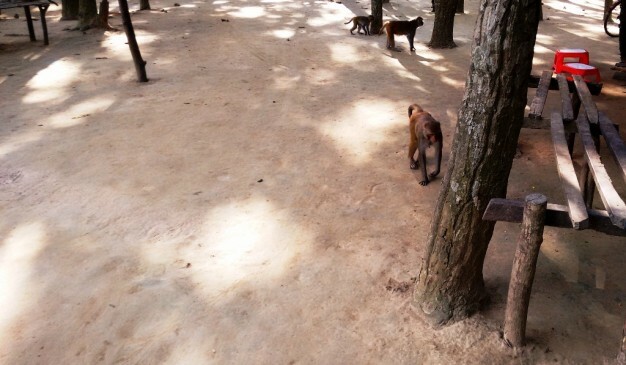 Besides rubber garden there is a significant number of monkeys being found in a place inside the forest. Where you will also find a small forest office. Local people call this as Bandar office (বান্দর অফিস/বানর অফিস) which is very funny indeed. Nearby the office you may discover monkeys wondering around in a particular area with pride & dignity, as it seems like you just entered into their territory. It would be wise not exchanging any food with them, people may suggest you to buy them some peanuts. Once you buy for them, certainly they will be obedient for you and may follow your go. 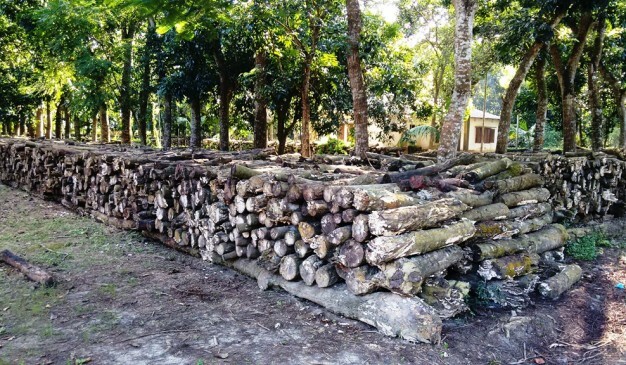 One and half kilometer from Monkey zone, a traveler will find an industry of Rubber processing which is very near to the link road, connecting the forest with main road. 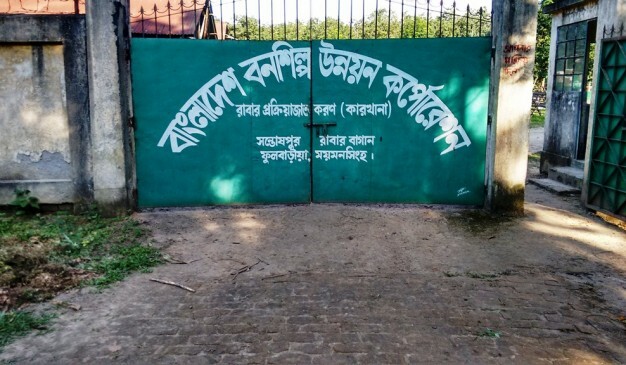 It’s named after “Bangladesh Forest Development Corporation, Rubber processing factory”. 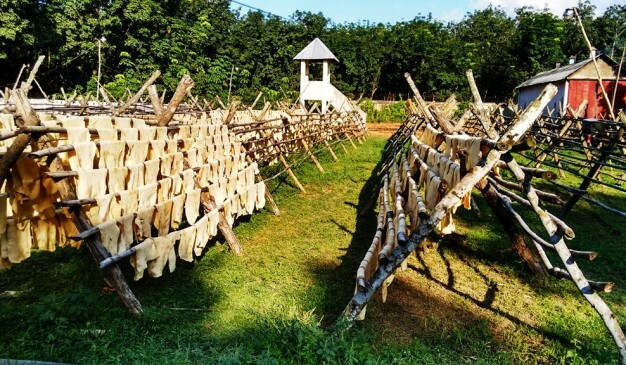 Here a traveler can observe the whole methods of rubber processing. 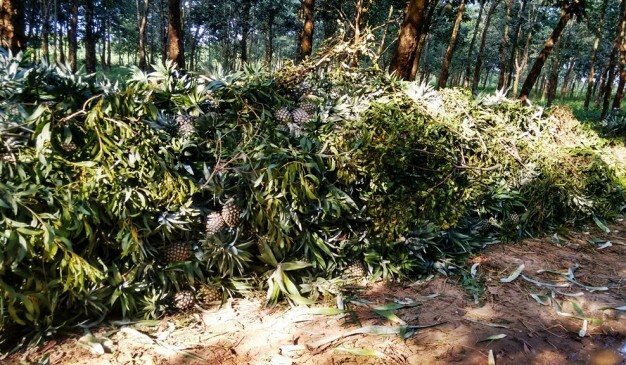 However, if someone is interested to observe the methods from the very beginning of collecting raw rubber from the trees, then we would rather suggest to stay in nearby places of forest for one or two days. But, it would be so tough to stay nearby places beside the forest as there is no residential hotel or boarding to stay overnight. There are a significant number of Buses available from Mohakhali bus stand moving towards Mymensingh. If you want to go Fulbaria Upazila, then you may ride on a Bus name “Alam Asia”. It will drop you at fulbaria bus stop. From fulbaria bus stop, you may ride on a CNG auto rickshaw moving towards Keshorgonj bazar. At Keshorgonj bazar, there are some auto-rickshaws available moving toward Bali ghat (বালি ঘাঁট). 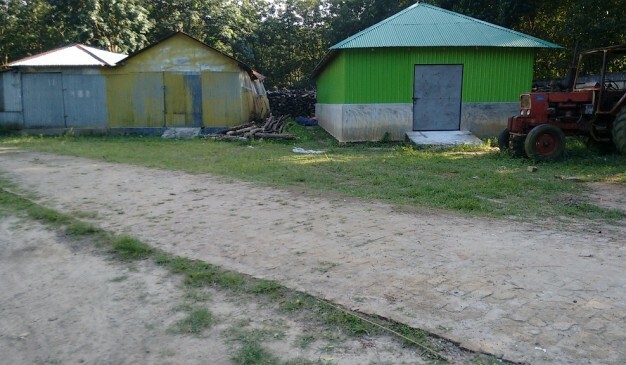 You may take a walk from balighat to the forest. Another option is to hire an auto rickshaw from Keshorgonj to the rubber garden. There are several train services from Dhaka to Mymensingh. It takes almost 3 hours to reach Mymensingh from Dhaka, the capital of Bangladesh. You can get on from the Dhaka Airport or you could go to the main train station-Komlapur Rail Station. The main bus terminal is Mahstandar bus station, 3km from the Station Rd Circle. Between 6am and 6pm you can get a bus to a zillion places including Tangail (Tk 80, 2½ hours), Madhupur (Tk 40, 45 minutes), Dhaka (Tk 80, 4½ hours) and Bogra (Tk 140, 4½ hours). The bus stand for Haluaghat and other destinations on the other side of the Brahmaputra River is, logically, at the bridge. Buses to Haluaghat (Tk 45, 1½ hours) leave regularly between 8am and 7pm. Every day from the capital Dhaka to Mymensingh, a total of 7 mail trains comes in till 11:00 am. Four of the seven are intercity express train, others are local. These trains come to Mymensingh through to Tongi-gaffargaon from Dhaka. 3 out of 4 go to Tarakandi and 1 go to Dhaka-mohanganj. Per day 3 local train arrives at Mymensingh from Dhaka. 1 in 3 of the local trains come to Mymensingh via Bhairab-Kisorganj-gauripur, the other two comes Mymensingh via gaffargaon. 24 hours internet facility at the lobbey of the Hotel Hera. Internet is absolutely free for the people staying at the hotel. You may enjoy the sight seeing all around the forest. 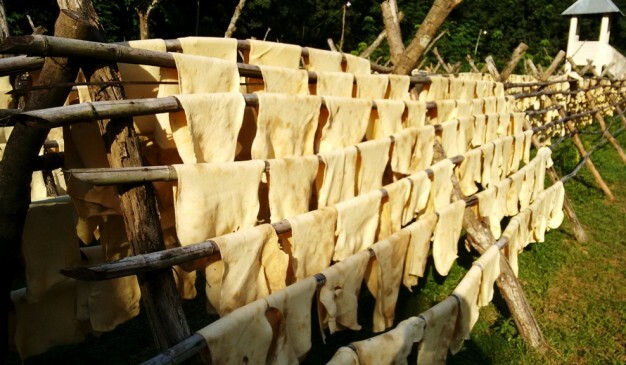 Besides, you may enjoy the whole methods of rubber processing . Nearby the forest there’s almost no options for food facilities. So a traveler should find somewhere to eat nearby Fulabaria Bus Stop. 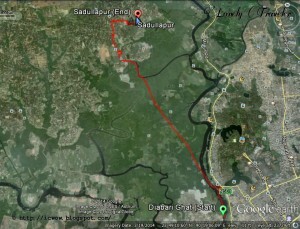 Sadullapur is very near from Dhaka and it’s a very ideal place for a day trip. A large quantity of Dhaka's flower supply comes from this area. Main flowering crop from here is the rose (though they also cultivate other flowers, but only few). Most of the spaces from this area are occupied with the rose gardens. And only few seasonal vegetable cultivation were found. To go to the Rose Flower Cultivation Plant of Sadullapur, you have to reach at the Diabari Ghat to catch the engine boat for the Sadullapur. It is a public transport and per person it takes only 20 Taka. During the dry season the boat uses to run through the serpentine river. But when the river is flooded, the boat can easily draw a straight line between the source and the destination to skip unnecessary wandering. For this reason it takes only 30 minutes to reach at Sadullapur by boat during this season, but it takes more than an hour during the dry season. After reaching at Sadullapur, you can start wandering through the roads, sideways, and sometimes through the bank of the wetlands. Or may be look for the birds along with the rose gardens. Most of the places are occupied by the rose plants. Few of the gardens are having roses bloomed overwhelmingly, and few are about to bloom. But the farmers are always careful about the gardens regardless the flowers. The soil from this area is somewhat red in color and few of the lands are higher than our average land height. From my understanding, it’s probably hard for irrigation and that's why they have chosen to cultivate flowers in this land. Along with the flowers, they have also planted the palm trees in between the lands. The village was having several wet lands (most of those were generated from the overflowing of the river Turag). We have had a walking around the bank of those wetlands. 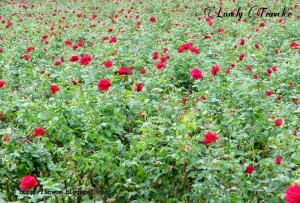 You may have seen thousands of roses from the market, but never seen millions of roses in a garden. It can be a nice experience for you. If you want to swim inside the river water before returning from there, it would also be a great experience. The river water is good, and you can easily have a good swim experience over there. Mohini mill was the largest factory compound area in the entire Indian territory during the year 1912. 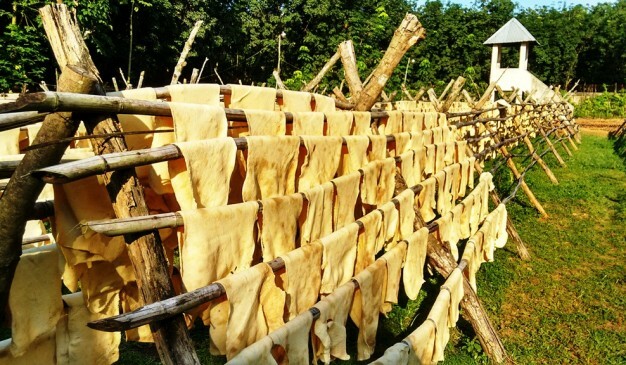 It was a textile industrial area to produce fine quality fabrics. Millpara (Mohini Mill Area) bears the proud memories of mass people and symbolizes the historic significance of Industrial development. 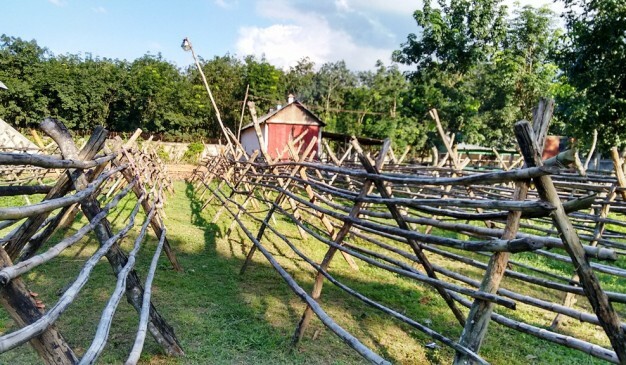 The combined effort by Mohini Mohon Chakraborty, Poet Rabindranath Tagore, Jogot Kishore Chowdhury and Chomon Lal made this possible to establish this Mills in the year 1912 on an area of 99 bigha. For the economical freedom of the people in this region Bangabandhu Sheikh Mujibur Rahman nationalize that Mills in the year 1972 and his directions paved the way to open a new unit of BMRE (Balancing Modernizing Reconstructing Engineering). This mills was running well until 1982. Later onward this mills fall in great loss as a result of conspiracy and corruptions by few selfish people. On 5th of February 1982 this mills was announced to close its door and black day came for 3000 labors at that time. After the closing labors didn’t stop their movement for the re-opening of this Mills. 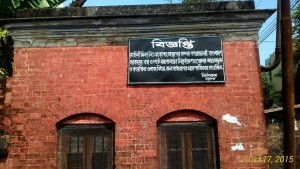 Later by the order of Honorable Prime Minister Sheikh Hasina this Mills re opened for the labors on 17th of February 2009. But the scheming and corruption didn’t stop. Which at last result in permanent closing and this Mills was sold to private sector in the April, 2013. For now being this Mills is closed and stopped working. 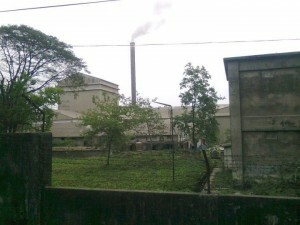 Chhatak Cement Factory, established in 1941, is one of the oldest industrial units in Bangladesh. Chhatak Cement Factory Ltd. manufactures cement. The company was formerly known as Assam Bengal Cement Company Limited. Chhatak Cement Factory Ltd. was founded in 1937 and is based in Dhaka, Bangladesh. The company operates as a subsidiary of Bangladesh Chemical Industries Corporation. In order to raise production capacity from 1,35,000 tons to 2,33,000 tons, the 2nd phase of the expansion programme has been completed with financing from Asian Development Bank. 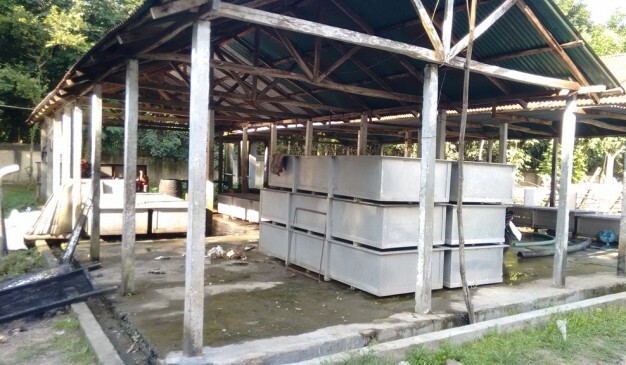 The Factory uses limestone imported from Meghalaya, India and from its own quarry-Takerghat Limestone Mining Project.